Nothing fun about a broken window! Are you currently having window panes? Pardon the pun, it is one of my favorites from the industry. 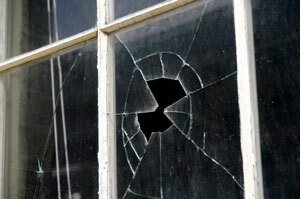 In all seriousness do you have issues with your current windows such as leaking water, seal failure, broken glass, etc? You can call someone who can troubleshoot any issue with your windows if you think they are salvageable. In doing so the goal would be to successfully service or repair your windows. For example, say you have Andersen Windows in your home. 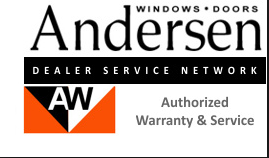 Have an Andersen Certified Company come out to your home any window issue as best they can. Window and Door repair, parts and accessories, are an important part of product support. If you are unable to do so at a reasonable price, have a window dealer look at window replacement. It might be time to scrap your old windows and move into new ones. "Fixing a failed window seal may be more trouble than it is worth. While it is possible to fix a failed window seal, the most common reason for a failed window seal in the first place is old age. A window seal is when two or three panes of glass are pressed together and sealed together; the purpose is to help lower heating and cooling costs of the home. You can easily tell if a window seal has failed if you see smudges, fog, cloudy spots, or condensation on a window. Even when cleaned the window still shows these marks and that means the marking is actually any of the above appearing in between the panes of glass because the window seal failed at some point. There are two main ways to go about fixing a failed window seal and both involve replacement glass or replacement windows. Depending on the size of the panes and the number of panes that have failed window seals, you might consider having someone known as a glazier come in and replace the individual panes with new thermal panes (what double or triple paned glass is called). This reduces the amount of time and money spent on fixing the failed window seal. You don't have to rip out a whole window and you'll be getting all new glass. But glaziers are becoming harder to find and it can be a mess to try and replace panes of glass yourself. The other way to 'fix' a failed window seal is to simply replace the whole window. Chances are that the window seal failed in the first place just due to old age. Replacing the glass panes may work, but what happens when another window seal fails or the old age of the window itself causes a seal to fail once again? If you don't mind the look of a thermal pane that has failed seals, you can wait a little while before replacing your window completely. The old age of a window shows its signs in many ways and one way includes air and condensation getting through a worn out window seal. In most cases you might be better off waiting and then purchasing a whole new window (frame and all) so you'll have all new glass, the latest seal technology, and assurance that you might not have to deal with failed window seals for years to come." Sometimes it is best to let sleeping dogs lie. It might be time to call a professional and upgrade your home's windows.